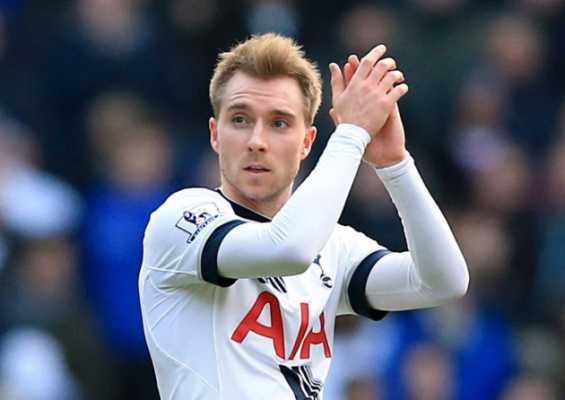 Chelsea and Manchester United are said to be in interested in one player and that’s Tottenham star Christian Eriksen and both teams are reportedly in talks with the player’s agent. The Danish star has a year left in his contract with the North London club and he’s turned down the chance to renew his deal due to Spurs inability to add to his current weekly wages. It was reported last week that Spanish giants Real Madrid were keenly interested in snatching him off Pochetino’s radar as the Los Blancos want him to serve as Luka Modric’s replacement in the second half of the season. However, coach Santiago Solari surprisingly cooled his desire to lure him to Santiago Bernabeu as result of the Tottenham’s huge price tag. Paris St-German were also linked with the player as Thomas Tuchel seek to bolster his midfield setup before the return of Champions League competition next month. The Ligue 1 champions also saw their bid turned down by the Lilywhites who claimed Tuchel’s bid was below Erikson’s market value. Chelsea and Manchester United are now the two clubs left in the race for his signature as both clubs continue to chase after a top-four finish. United are currently in the sixth position, while, the Blues are in the fourth position with only three points separating them. The Denmark international presently receive £75,000 as weekly wages and it remains unknown if Chelsea and Manchester United are ready to pay more than that for the impressive playmaker.